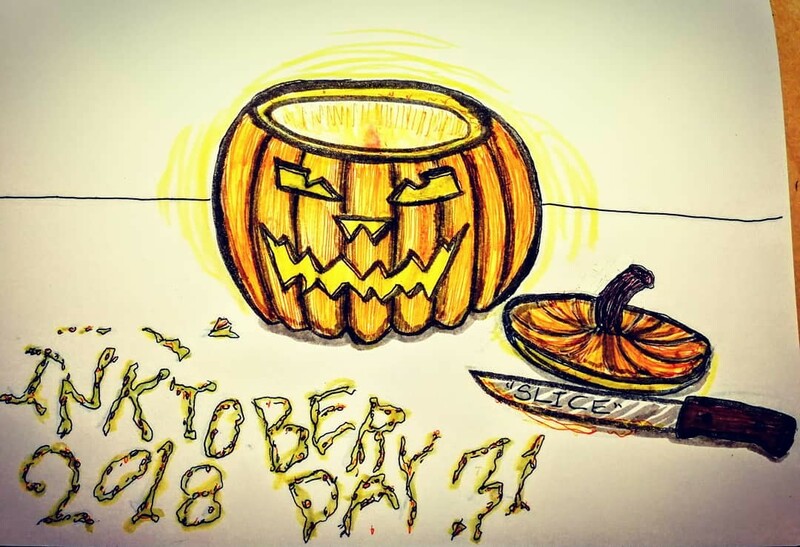 Inktober 2018 Day 31, "Slice". 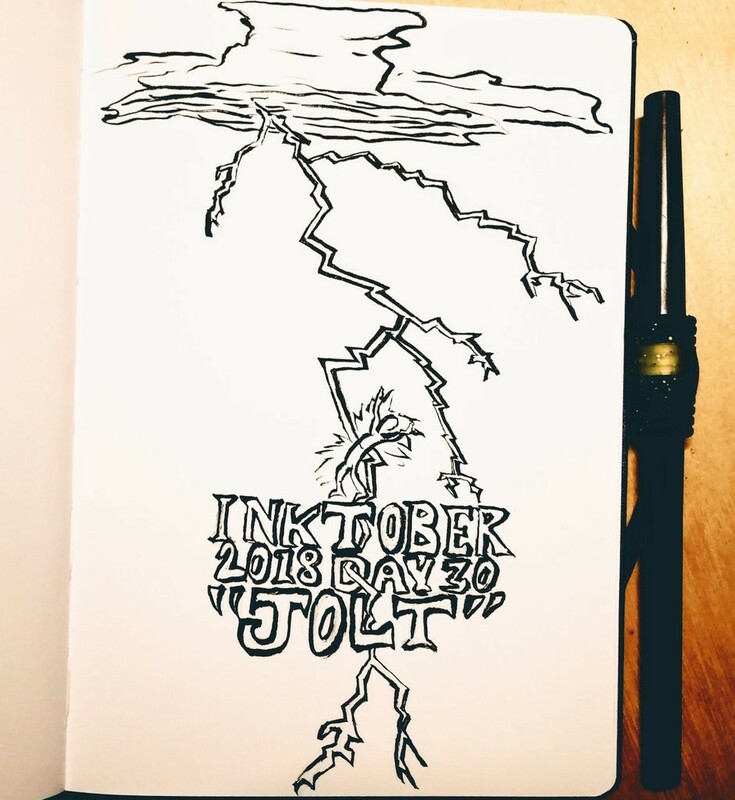 Inktober 2018 Day 30, "Jolt". 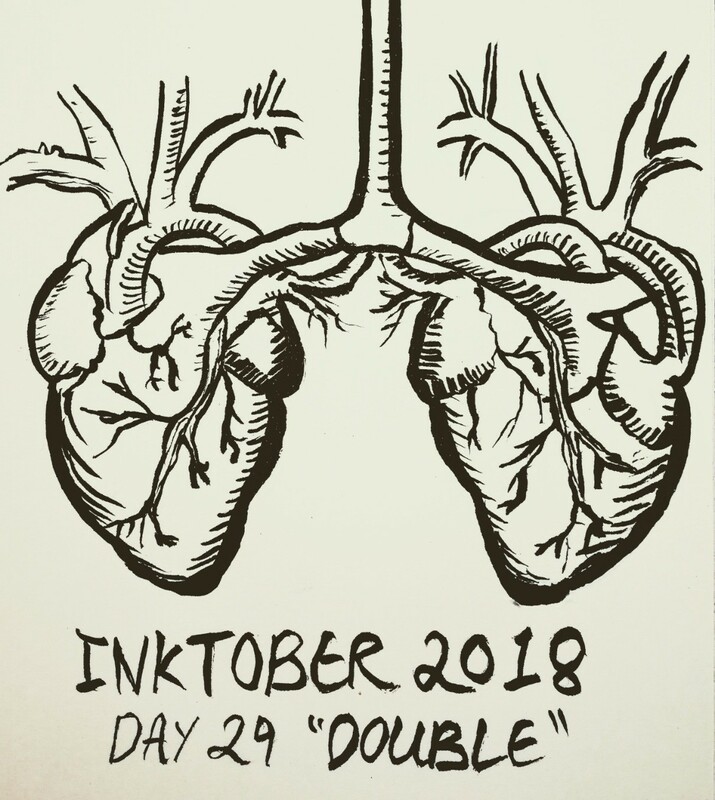 Inktober 2018 Day 29, "Double". 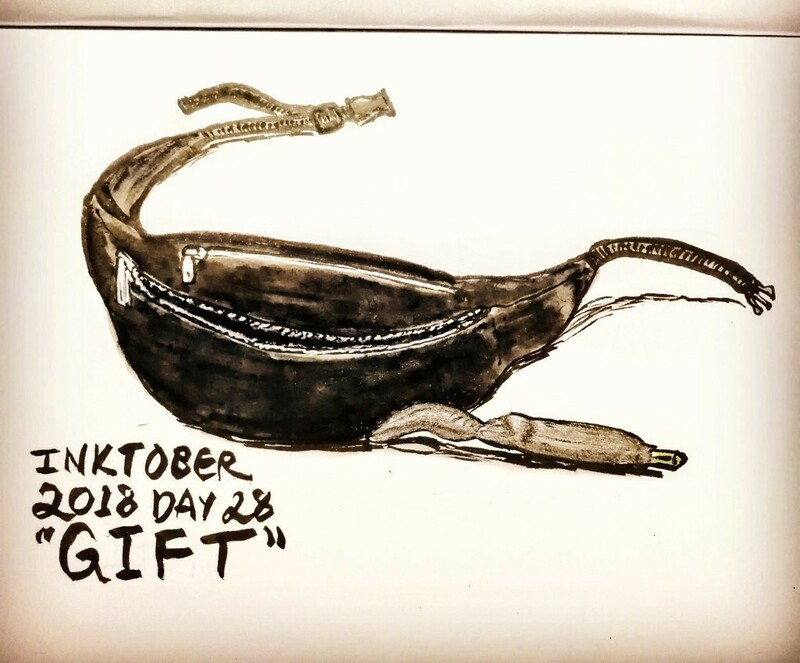 Inktober 2018 Day 28, "Gift". 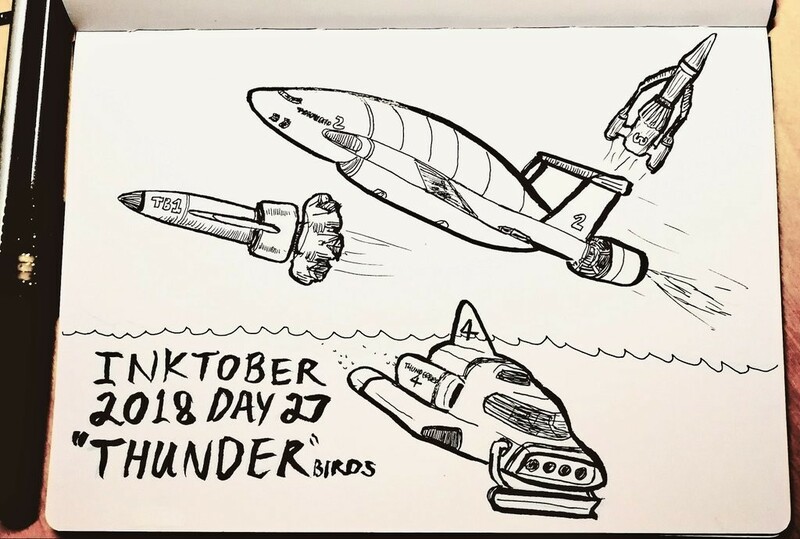 Inktober 2018 Day 27, "Thunder"(birds). 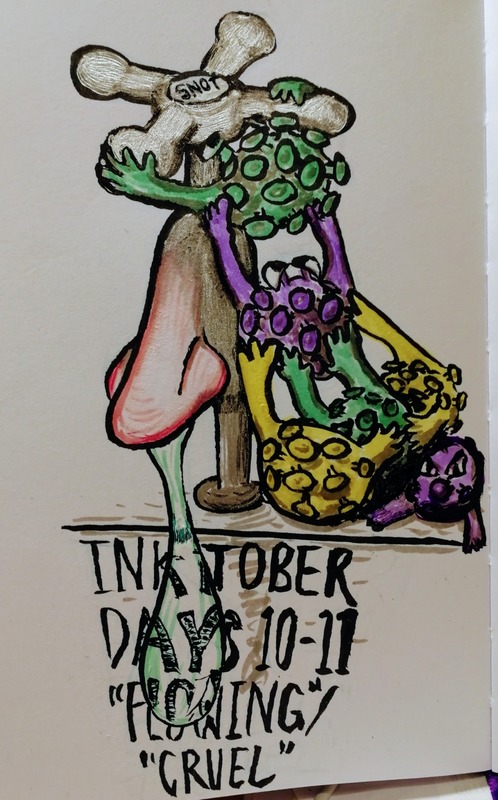 Inktober 2018 Day 26, "Stretch". 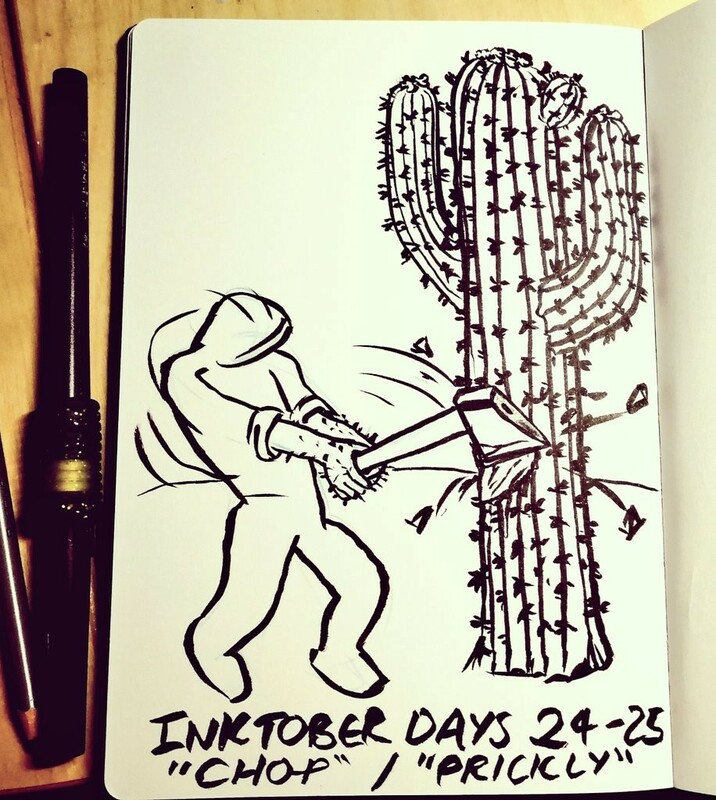 Inktober 2018 Days 24 to 25, "Chop" / "Prickly". 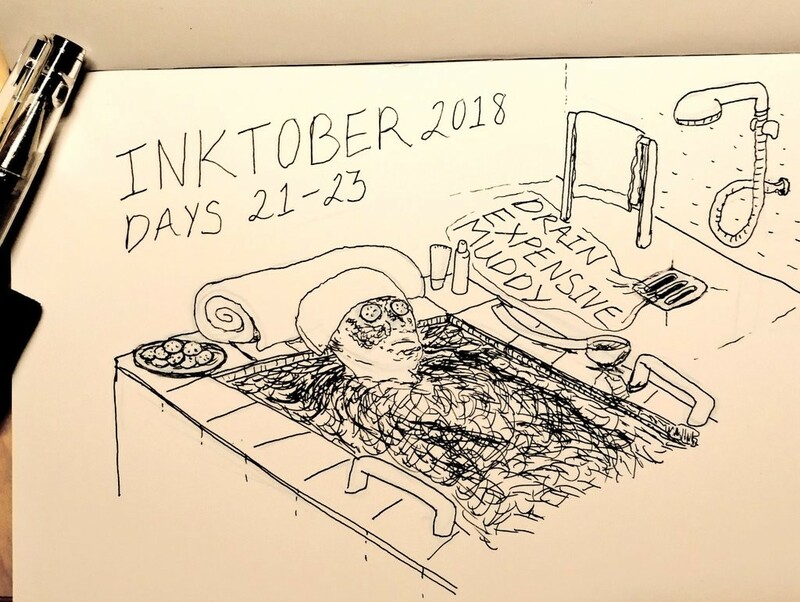 Inktober 2018 Days 21 to 23, "Drain" / "Expensive" / "Muddy". 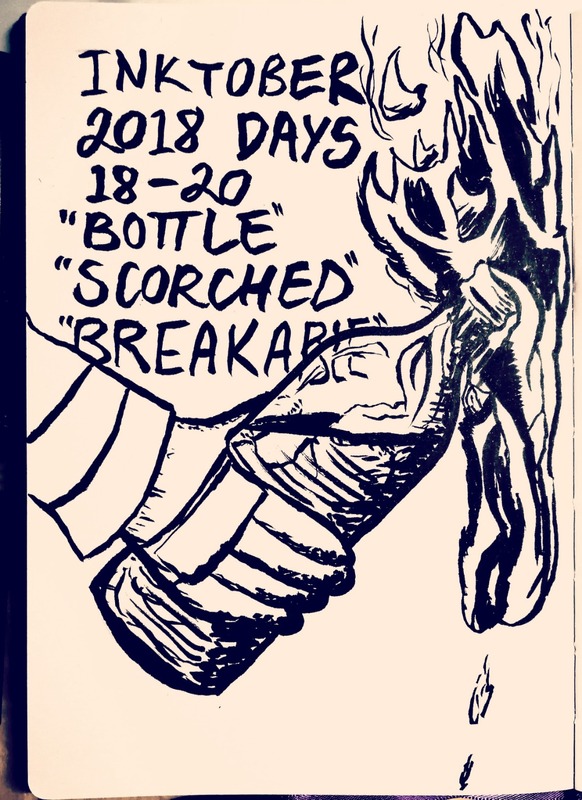 Decided to switch from just the brush pen to just the fineliner. 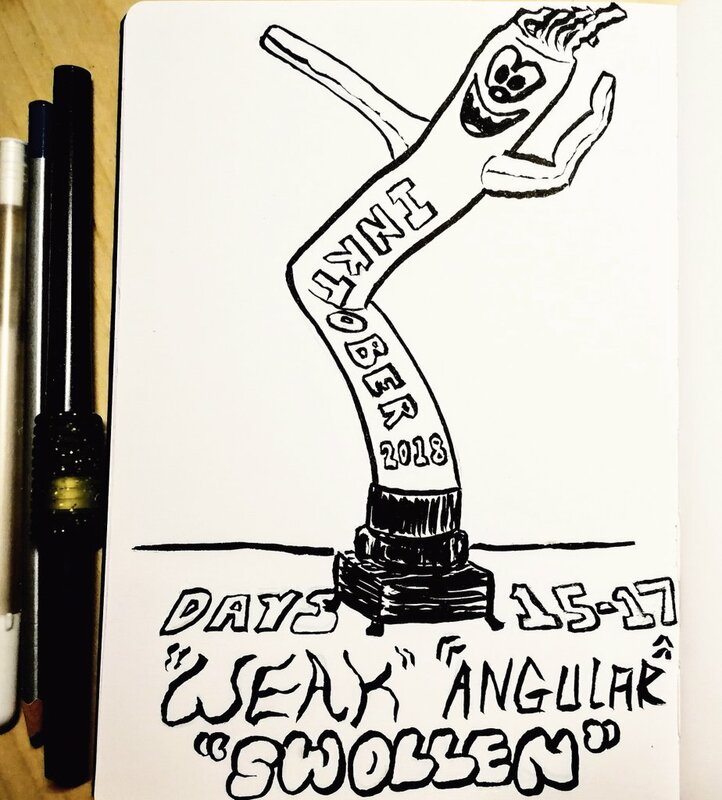 Inktober 2018 Days 15 to 17, "Weak" / "Angular" / "Swollen". 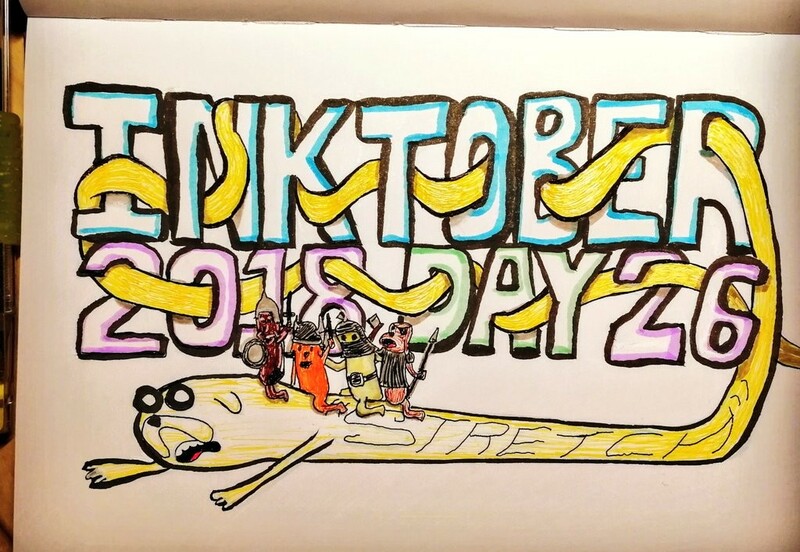 Just noticed the thumbnail sketch for last night&apos;s Inktober entry - it looks so much more dynamic than what I ended up inking! 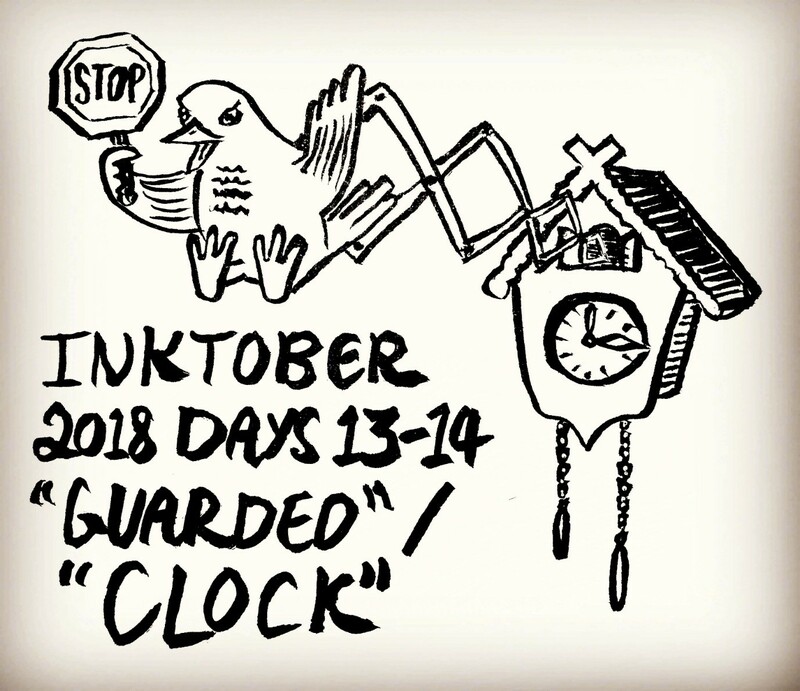 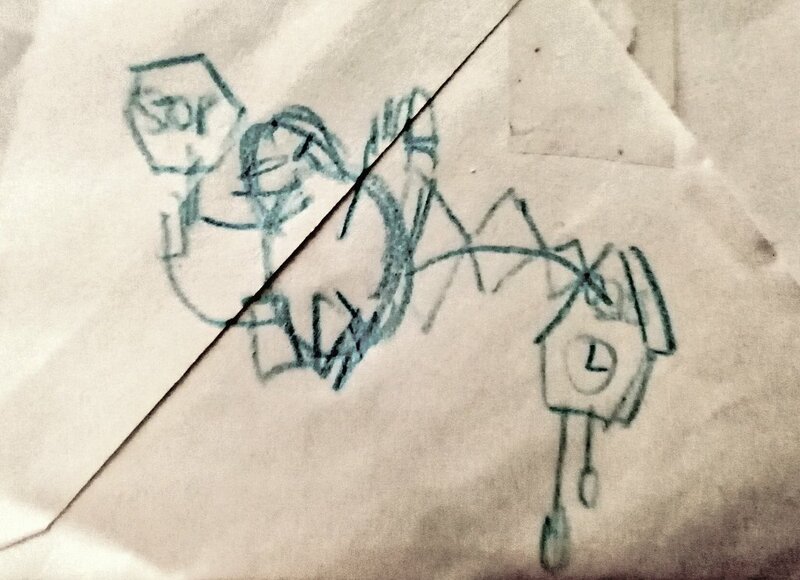 Inktober 2018 Days 13 to 14, "Guarded" / "Clock". 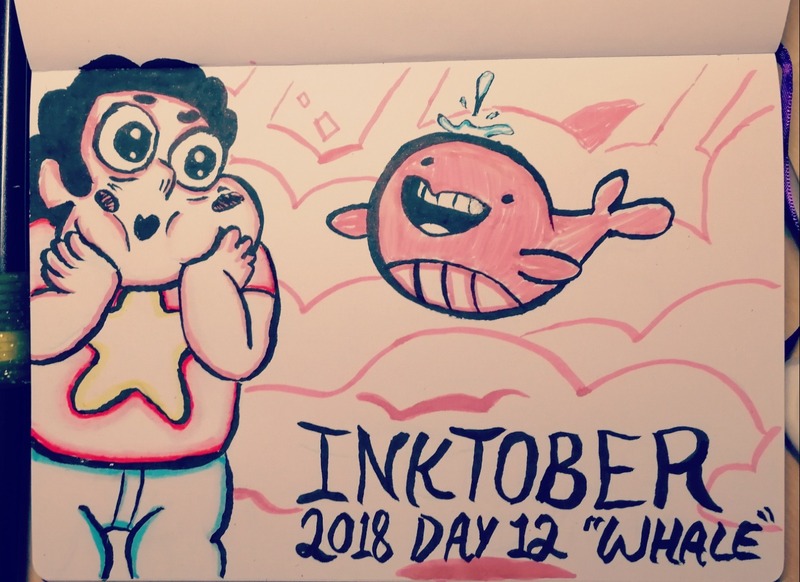 Inktober 2018 Day 12, "Whale". 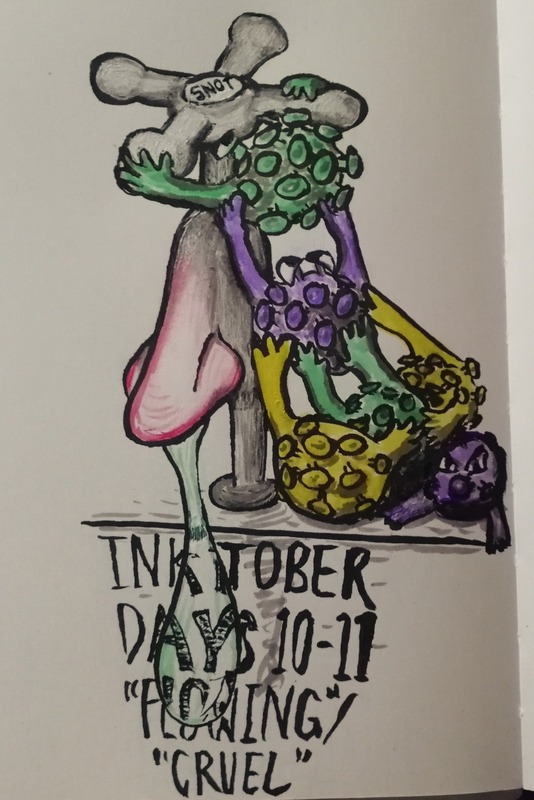 Repost of yesterday&apos;s Inktober days 10 to 11 "Flowing" / "Cruel" illness catch-up under natural light. 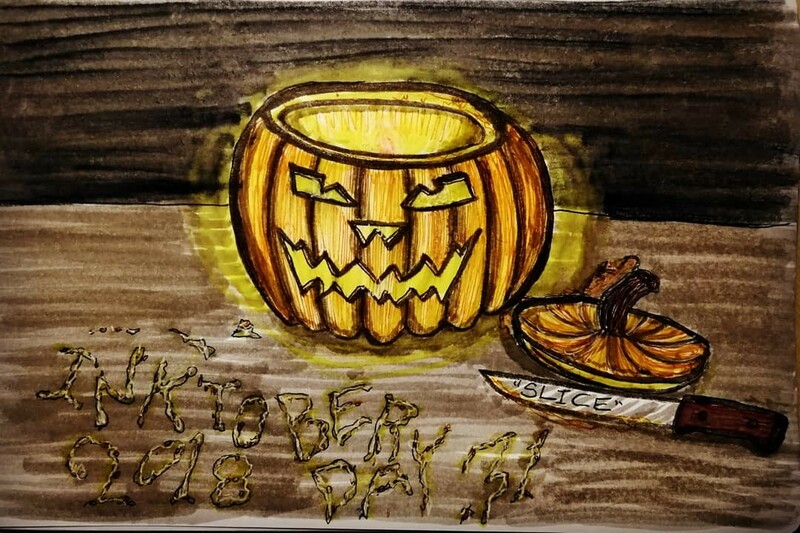 Inktober 2018 Days 10 to 11, "Flowing" / "Cruel" - catching up after having a day off with a cold. 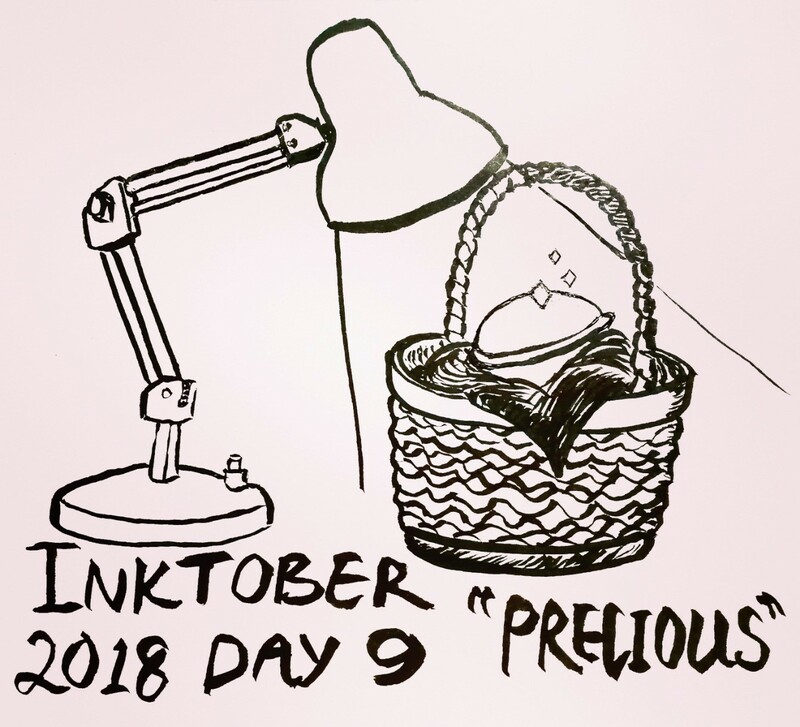 Inktober 2018 Day 9, "Precious". 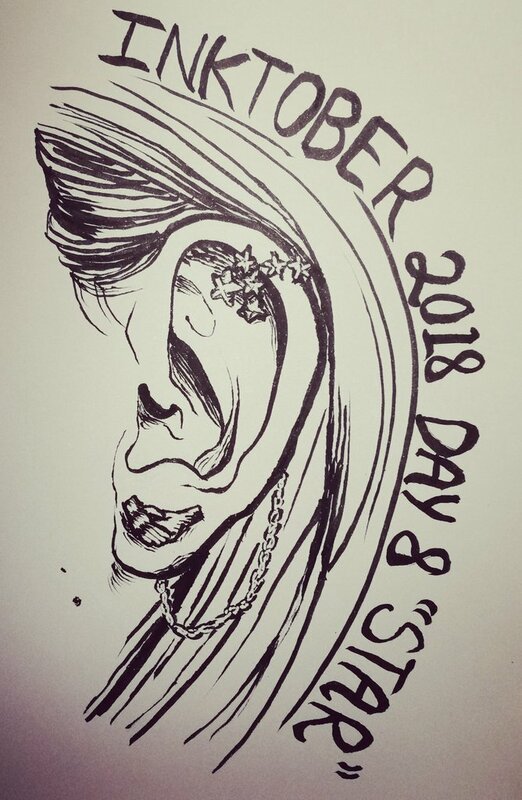 Inktober 2018 Day 8, "Star" - revised to correct the mess I made of the hair behind the ear. 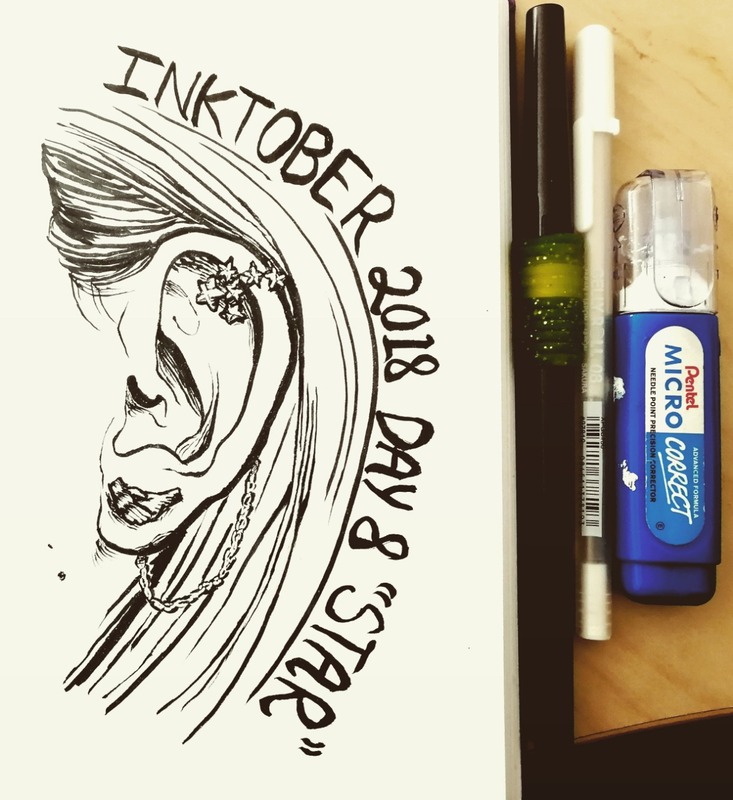 Inktober 2018 Day 8, "Star". 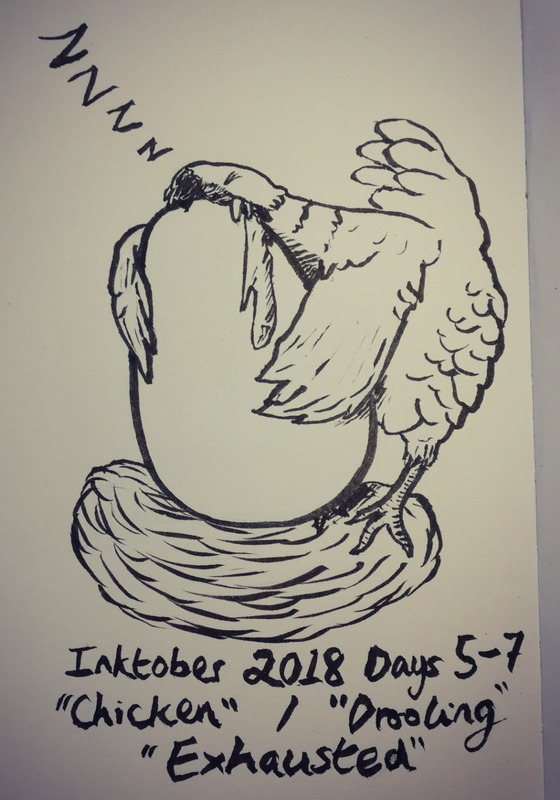 Inktober 2018 Days 5 to 7, "Chicken" / "Drooling" / "Exhausted". 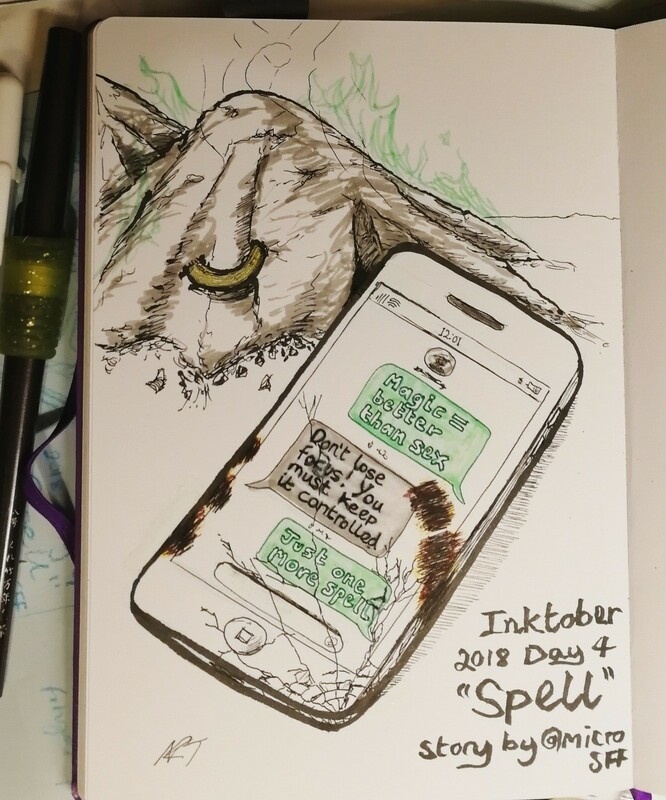 Inktober 2018 Day 4, "Spell". 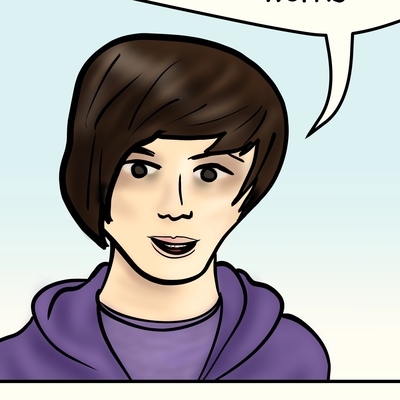 Created as part of a micro story adaptation challenge at Nottingham Hackspace Comics Making Group.